What is the association between you oral health and your heart? Some studies suggest that oral inflammation, or swollen gums, and bacteria associated with periodontitis may be associated with ones development of heart disease. One possible theory is that harmful oral bacteria can enter into the blood stream and attach to fatty deposits in the blood vessels in your heart. Another theory is that inflammatory proteins may enter the bloodstream and may stimulate inflammation in blood vessels. Both theories suggest that these conditions may lead to blood clots and contribute to heart disease. 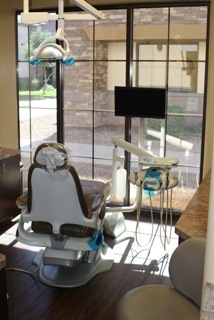 For further information, contact Power Ranch Dental at (480) 988- 2282. We would love to answer any and all questions you may have and help you on a path towards a happier and healthier smile.